Omron has released the Q2A Tailored Application Drive series. Capable of driving a wide variety of motors such as IM, SPM, IPM, DDPM and SynRM, the Q2A is easily customizable to the customer’s application. The solution combines a space- and cost-saving design with many helpful features to offer system integrators, OEMs, and end-users a high-performance yet easy-to-use drive. 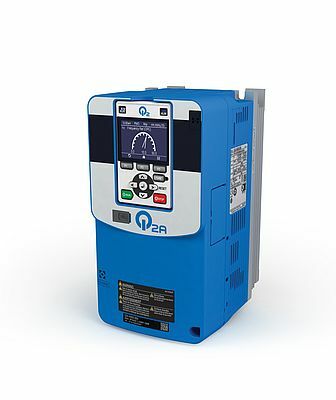 The new Q2A Tailored Application Drive from Omron is the first in a new family of products designed to meet the demands of system integrators, OEMs, and end-users. It minimizes hardware footprint and cost, reduces engineering and commissioning time, and provides improved performance for different motor types. The entire application workflow can be optimized, from design, through commissioning, to maintenance and fine-tuning for production. Design benefits begin with up to 45% footprint reduction compared to the previous solution, together with side-by-side mounting. The built-in EMC filter, DC reactor and braking chopper, together with integrated functional safety (STO SIL3).